It’s hard to beat the beauty of both Interlaken and Cinque Terre. 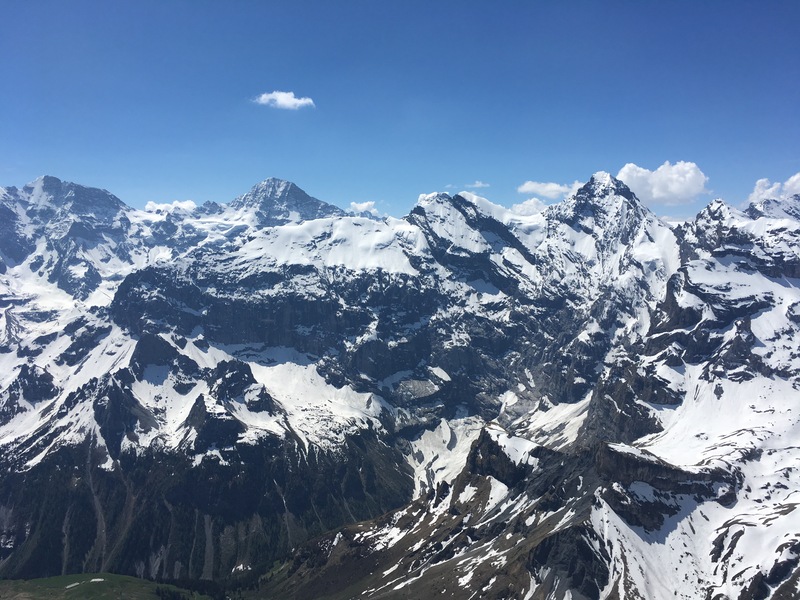 Each is utterly gorgeous in its own way; The Swiss Alps surround Interlaken, and the Mediterranean Sea crashes up against the shores of Cinque Terre. It’s hard to even compare the beauty of the two towns, because the terrain and views of both are vastly different and equally beautiful. In both cities, CR9 had incredible opportunities to hike to see absolutely breathtaking views. Both scenarios have proven to be perfect group-bonding time for all of us, while also serving as our extensive daily exercise. On our last day in Interlaken, Dr. P planned a surprise for us. We started off the morning with a short train ride from Interlaken to Lauterbrunnen, which is a quaint town outside of Interlaken. We hopped off the train and started walking down a road through the town of Lauterbrunnen. This town was also surrounded by the sheer beauty of the Swiss Alps, and the small, simple houses in the town contained so much character. I felt like I was in a Disney movie. After about an hour of walking, we ended up at Trümmelbach Falls, which is a area inside a mountain that contained 10 incredibly powerful waterfalls. We walked in and out of the side of the mountain and stood by waterfalls crashing with immense force and power. It felt surreal to stand inside of a mountain watching and listening to the roaring sound of crashing water. A group of us stood in the mountain and began talking about the how all of these waterfalls and mountains were created. We eventually came down to one answer: These things are not random. They had to be created by a very creative Creator. I remember standing by the waterfall in awe, trying to soak up the creativity and power of my God who created these waterfalls and the surreal Swiss Alps around me. It was definitely a moment I won’t forget. After the Falls, we walked and talked for another half hour and eventually rode a few gondolas to the top of Schilthorn Mountain (where one of the famous James Bond movies was filmed). Once we got to the top of this mountain, the view was, once again, absolutely breathtaking. Everywhere I turned, I was taken aback by the snow-capped mountains that surrounded my every turn. I couldn’t believe what I was looking at. Again, I was in awe and was reminded of the creativity of my Creator. The incredible detail of every peak of every mountain and the lakes at the bottom of the valley seriously caused me to sit by myself in awe, soaking up the immense beauty of what was surrounding me. At the top of this mountain, all 18 of us shared a fantastic buffet meal in a 360° rotating dining room with some of the best views in the world. It was a great meal, and many of us left quite tired due to the adventure we had experienced thus far. After lunch, we descended down the mountain (via Gondola), and ended up at a couple other incredible view points, leading us to “The Thrill Walk”. The Thrill Walk was a metal and glass sidewalk that extended out of the side of the mountain. At points, there were times when the bottom of the walkway was glass, so we could see straight down a couple hundred meters, and there were times when we tight-rope walked (with a metal net below to catch our falls). This place, too, had incredible views of the mountains, while providing a thrilling excursion for us to enjoy together. Eventually, we hiked down a portion of the mountain together, and we enjoyed more conversation and exercise with one another. By the end of the day, we all made it through the day together, as one team, encouraging each other and laughing with each other. It was a great day. On our first (and only) full day in Cinque Terre, Dr. P took the 18 of us on a hike through the hills of mountains surrounding the city. This hike was no small task for the 18 of us; we walked up very steep hills, stairs, and paths to the top of the mountain with a quaint chapel overlooking Riomaggiore. Once again, this hike provided us the opportunity to laugh, converse, and encourage one another. We eventually made it to the top, and the view was (once again) utterly breathtaking. To see the wildly blue sea crashing against the cliffs of Cinque Terre was something I will not forget. At the top, I had some incredible conversations with a few of my friends, which allowed me to understand them better, and I’m so thankful for that opportunity. After leaving the chapel, Dr. P had another hike in mind for us, which eventually led us up some more hills and stairs to another town in Cinque Terre. 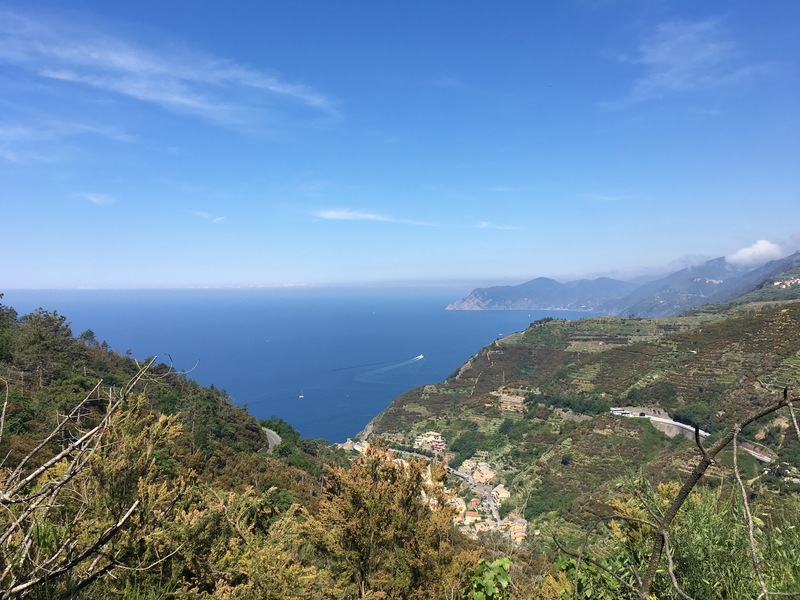 Despite the loads of sweat that dripped off my body (yes, I sweat a lot), I absolutely loved this hike as we walked through vineyards and houses placed on the side of the mountains of Cinque Terre. We walked and talked, and we walked and talked some more, but I wouldn’t trade that for anything else. As a relational individual, this day was one of my favorites, because it provided me the opportunity to know my friends more deeply and to laugh a whole lot more (I have laughed quite a bit on this trip). We eventually made it to the other town and shared a meal of homemade pasta together. Let me tell you, Italians know how to make some good pasta. Lunch with good pasta and good people = a happy Will Beasley. By the end of the day, we hiked over 11 miles together through towns, hills, vineyards and more. It was accompanied by amazing views and amazing people, and I wouldn’t trade it for the world. All in all, Interlaken and Cinque Terre provided me (and the entire group) with unparalleled opportunities to channel our inner adventurous self, while also sharing stories and laughs with one another. These cities were relaxing and thrill-seeking, and I loved them. I feel as though these adventures have given us the much-needed opportunity for us to be present and real with one another. As I’m leaving Cinque Terre, all I can think about is how thankful I am to have spent this quality time with every one of these incredible people. The hikes and views have given me a greater appreciation for this group and have brought all 18 of us closer to one another. I’m so pumped for what Florence and Rome have in store for us.